With our professional Post Card Design, Printing, and Direct Mail Services your Post Cards are sure to make an impact. From the big idea to the small details, our team has years of experience. 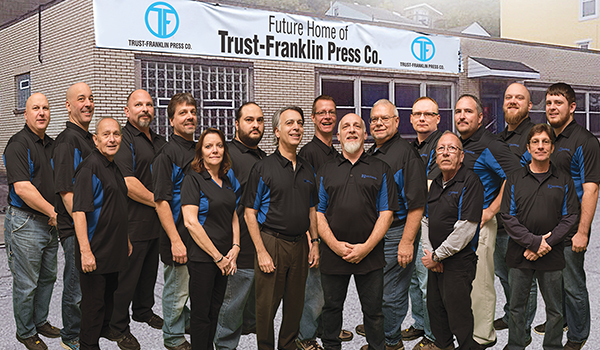 Trust-Franklin Press Co. has partnered with The Magnet Group.They are one of the perennial suppliers in the promotional products industry with a long track record of excellent service, prices, & diverse product line to suit any budget. With over 100 years of printing experience in the Pittsburgh area, we offer printing services at great prices with the best quality our dedicated staff is committed to providing to you . We offer full color print services that range from: stationary, brochures, postcards, pocket-folders, flyers, announcements, invitation packages and mailing services. When you choose to TRUST us, you will use us again and again. Our customer service can not be beat. Give us a call today!